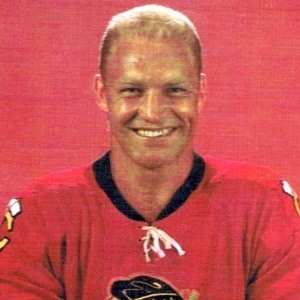 Hall of Fame left winger known as The Golden Jet. He scored 610 NHL goals, won three Art Ross Trophies and helped the Chicago Blackhawks win a Stanley Cup Championship in 1961. He took his Ontario teammates to the Sutherland Cup in 1955, defeating powerhouses Sarnia and Waterloo along the way. At the time of his retirement, 1980, he placed second all-time in goals scored but has since been surpassed by a number of players. He married Joanne McKay in 1960 and had three sons, Bobby, Blake, and Brett, and a daughter, Michelle. After divorcing in 1980, he married Deborah Hull four years later. 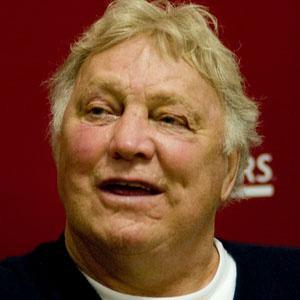 He had the most feared slapshot of his day and his son Brett Hull became known for his slapshot as well.